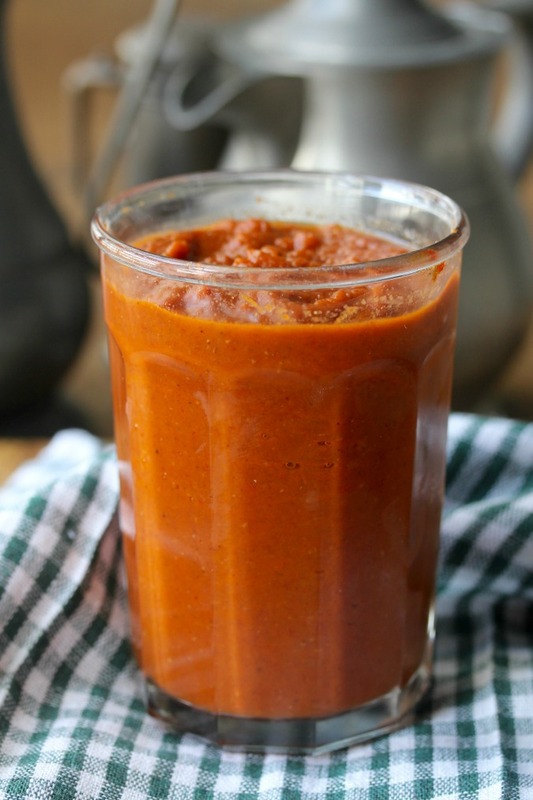 This Homemade Ketchup from scratch is tastier than anything you can buy at a store. Making ketchup, or any condiment, from scratch may seem a little over the top, even if you love making your own homemade salad dressings, barbecue sauces, and preserves. 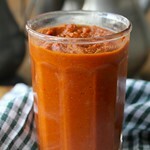 The thing about this homemade ketchup is... it's r-e-a-l-l-y good. Eye opening good. "OMG, I can't believe I made this myself!" good. It's not your average ketchup. Don't get me wrong, I'm not eschewing using your favorite store bought ketchup. After all, it has an amazingly long shelf life. I'm just saying you should try making your own from scratch, at least once. Dip your favorite potato chips in it. I first tried it with sea salt and vinegar potato chips, and it was delicious. For dipping Tater Tots or spreading over hash browned potatoes. 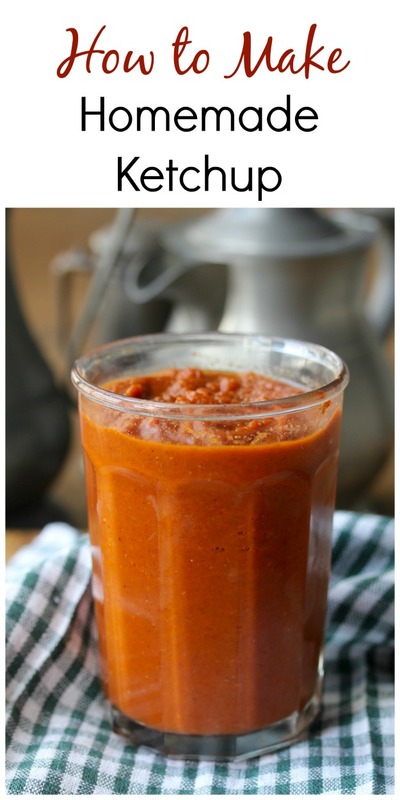 Use it as a base for making your own barbecue sauce. Use it as a base for making your own Thousand Island Dressing. Use it as a base for cocktail sauce. Add some Sriracha to make a Sriracha ketchup. Spread it over your favorite cheeseburger. This homemade ketchup will last about 3 weeks in your refrigerator. You can also freeze it for up to three months. Add the oil to a large pot over medium heat, and add the onion and red pepper and sauté for about 10 minutes. Add the garlic and tomato paste, and stir for 2 to 3 minutes. Add the can of tomatoes, along with the juice, and roughly mash in the pan with a potato masher. Add the sugar, vinegar, and the spices, bay leaf, and salt and pepper. Bring the mixture to a boil and simmer for about an hour, stirring occasionally. Puree the mixture with an immersion blender or standard blender. Finish by pressing the mixture through a mesh strainer. Taste and adjust the salt and pepper. This recipe is adapted from Kitchen Matrix: More than 700 Simple Recipes and Techniques to Mix and Match for Endless Possibilities. It's a collection of all of his Matrix themed columns from the New York Times. You can get the recipes on the NYT website, but this cookbook pulls them all together. Camilla of Culinary Adventures with Camilla is cooking her way through the book, and she has invited her friends to cook along with her. Keep an eye on her blog every Tuesday for a new post about the book. Here are the participants' contributions this week. What are your favorite ways to use ketchup? And how do you feel about ketchup on hot dogs? Please let me know!!! You can compare! A friend makes a product called Not Ketchup which uses fruit for sweetening. Karen, this looks fantastic. I've made my own ketchup before. But I will try this version soon. I can't believe this is my first time! The apple cider vinegar adds a really nice tang. I have to say that your love for this recipe came through loud and clear. I'm anxious to try to make my own ketchup now. Could you tell? =) It's so good, and so worth it. You're right Karen: homemade ketchup is so amazing! Just like with homemade mayo or mustard, it simply is far better than any store-bought product. Thanks so much Mirella! I need to try making homemade mustard one of these days!